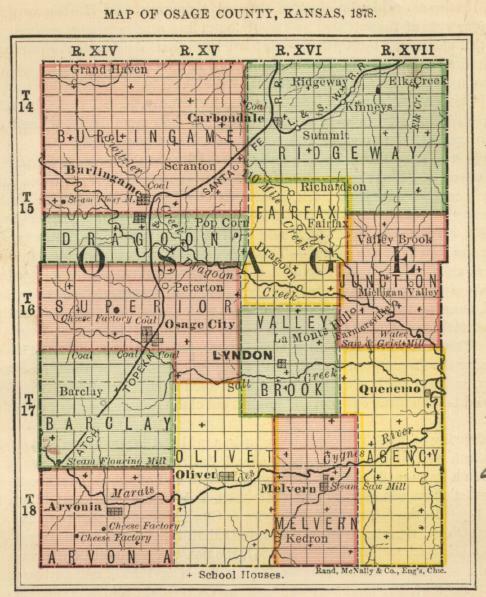 Are you interested in hosting one of the KansasGenWeb orphan counties? If so contact Debbie Wafford. Debbie is our Orphan County Coordinator and will be glad to answer your questions. Information about the responsiblities of a county host can be found by clicking here. Digital Library Indexes - Includes Census Records, Pensioner List, Histories, Obituaries and Funeral Notices, and Schools. Histories from Kansas: a cyclopedia of state history, embracing events, institutions, industries, counties, cities, towns, prominent persons, etc. Last updated 8 June 2006.
exclusive use of the KSGenWeb Project for display only on official KSGenWeb Pages.